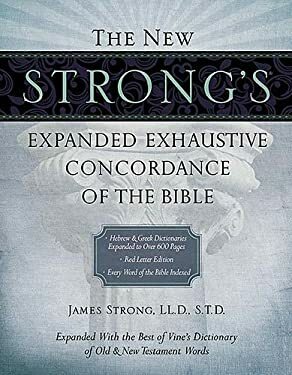 Only one concordance includes the best of "Vine's Complete Expository Dictionary of Old and New Testament Words" "The New Strong's Expanded Exhaustive Concordance of the Bible." The Hebrew and Greek dictionaries now have three times more word study information than any other edition. Plus additional cross-references from leading dictionaries make this the ultimate reference tool for pastors, teachers, and all students of the Bible. The only Strong's that includes "Vine's Complete Dictionary of Old and New Testament Words"